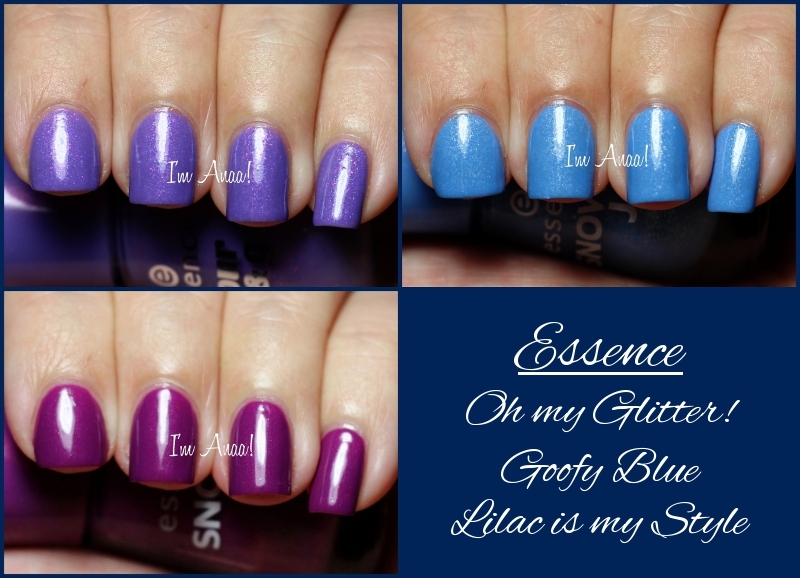 The first one is from the Colour & Go collection, and the two others from the Snow Jam collex. Goofy Blue is a light blue with silver shimmer. I applied 2 coats for these swatches. Lilac is my style is not lilac, lol XD It's more a dark magenta (according to colorhexa) with subtle fuchsia shimmer. It's really gorgeous! I applied 2 coats for the pics above.